Large and small retail outlets need to constantly assess the risks to their profitability and overall success – and we don’t just mean profit margins on goods and services. There are multiple potential weaknesses within any retail environment that should be under constant evaluation by the management team. From one extreme, petty theft, to another – terrorist threats – retailers need to be aware of both the level of active risk and the potential damage to their business from each threat. And whilst today’s sophisticated electronics can provide a level of reassurance, they can also induce a tendency towards complacency that may be detrimental to the security of a retail outlet. The nightmare scenario which befell Zaventem international airport in Brussels in March 2016 – when terrorists slipped through the security net and detonated explosives in the departure hall – also had a knock-on effect for airport business operations as the airport authorities dealt with the tragic aftermath. The airport was out of action for more than 10 days, resulting not only in passenger flights diverted, hotels closed and public transit systems suspended, but also retail outlets shut down. These actions were taken to minimise risk of further attacks and secure the scene so that investigators could piece together what happened, why the consequences were so devastating, who was responsible and what lessons can be learned. One lesson to be learned is that no amount of precaution, intelligence gathering and monitoring can prevent all terrorist attacks. However, retailers can implement certain measures to prepare for a potential attack, such as security awareness training to help staff and management know the best course of action in the event of a serious incident. Retailers can also install special anti-shatter glass film to help lessen the damage and casualties caused by flying and falling glass fragments, which can be responsible for a greater number of casualties than the attack itself. Having a suitable policy in place, however unlikely an attack may seem, will help to alleviate employee fears and improve morale, which also helps to encourage confidence and loyalty. According to the UK Office of National Statistics (ONS), shop theft increased by five per cent in 2015 year over year – the biggest volume since the National Crime Recording Standard was first introduced in 2003. Nearly 350,000 instances of shop theft were recorded in between September 2014 and September 2015 – and how many more were never reported? Shopping centres may seem more vulnerable, thanks to the sheer number of consumers passing through the doors. The focus is on volume sales and large-scale franchise operations are less likely to have in place a security awareness programme for staff. These outlets are especially vulnerable to gangs of robbers who are very organised and, before caught or even identified, will attempt to pass stolen goods through a network of hard to identify contacts. Measures such as ‘undercover’ operatives can be put in place to mitigate against such shoplifters: these agents are trained in profiling people to spot inconsistent or odd behaviour and their employment is a valuable tactic in the battle against customer theft – and especially gangs. Higher value items are likely to be protected by security seals and tags, but seasoned thieves know which items are most vulnerable and how to get around such security measures. High quality CCTV will act as a deterrent to some extent – although may prove to be most useful when proving rather than preventing guilt. On the other hand, CCTV can be very effective in protecting paypoints and card scanners, where shoppers may be most at risk from other less well-intentioned consumers. Records show that, despite the increase in shopper thieving, up to 70 per cent of retail theft is attributable to the outlet’s own staff. Warehouses are especially vulnerable as they are well stocked with valuable products – which are often accounted for only weekly, not daily – and rarely well attended 24/7. Popular electronics such as tablets and Smartphones are likely to be primary targets but any type of stock is potentially at risk. A first line of defence is to introduce product security seals and security on items before they reach the warehouse, reducing opportunistic theft at least. Checking staff bags at shift end can be an effective measure but can also be construed as combative by perfectly innocent employees – especially in smaller retail outlets. Such actions may also create problems with labour unions or require works council approval. Addressing the issue at its root may be a better answer: making sure you have a team of reliable, honest and committed employees looking out not just for themselves, but for the retail operation as a whole and ultimately their own paycheck. Despite the many threats to the security of retail operations, it is relatively straightforward to introduce measures that will effectively mitigate against those threats. Probably the most obvious is reducing risk from your own employees, most notably by maintaining a comprehensive screening programme. Workers have a critical role: they can be a retailer’s most important asset, but that person walking through your door every day is potentially also one of the biggest risks to security if not vigorously vetted prior to placement. Comprehensive screening of all employees, from shop assistants to managers, is vital in the fight against fraud or theft. Larger flagship stores will by their nature employ a greater number of personnel, holiday staff in particular, and thus may be even more vulnerable to casual exploitation. As more and more migrants enter Europe to escape conflicts in their own regions, the pool of potential workers expands and the process of checking identities becomes even more challenging. Retailers need to be extra vigilant and should not employ anyone without background checks. Comprehensive and regular screening of staff can be carried out within a week by a reputable third party security agency, which will delve deep into an individual’s past through checks on a social security number, ID or passport number and expose any fraudulent claims. Within a retail outlet it’s important to foster a team environment, where management and security staff actively involve shop floor colleagues in briefings and tactics against security breaches. Along with investment in warehouse security, training and in-depth identity checks, such measures should help to reduce the risk faced by retailers in today’s unpredictable society. 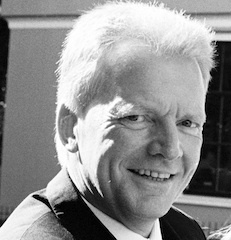 Weynand Haitjema serves as Pinkerton’s region managing director for EMEA. Pinkerton is a global provider of corporate risk management services, including security consulting, investigations, executive protection, employment screening, protective intelligence and more. For more information, visit www.pinkerton.com.